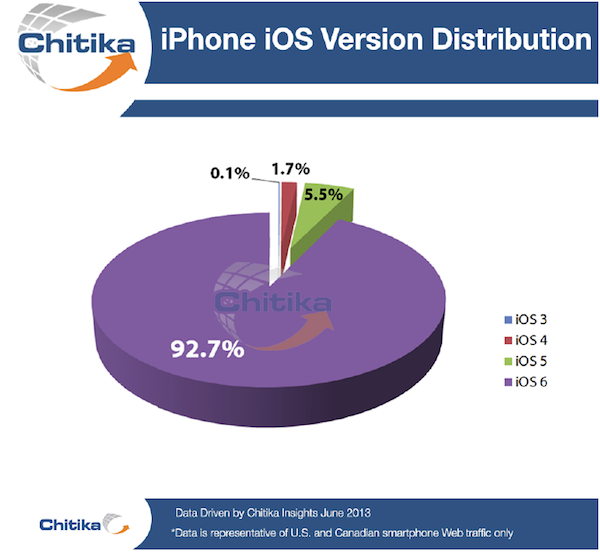 A few days before iOS 7 is introduced to the tech world at the Worldwide Developers Conference, Chitika has found that iOS 6, the current version of Apple’s mobile operating system, is on 93% of iDevices. 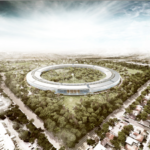 The market research firm has examined iOS under its loupe ahead of the highly anticipated Apple Keynote scheduled for Monday, June 10. It has found that iOS 6 has grown nearly 10% over the past several months, reaching 92.7% of installations. Back in March, iOS 6 users were generating 83.1% of all iOS traffic in North America. Overall, Chitika says iPhone users are more likely to choose an update to iOS 6 than are iPad users. A possible explanation could be that many of the new features of iOS 6 are geared more towards mobile usage, which makes some of these features useless on iPads. An example is FaceTime available on cellular networks and unavailable to an iPad that is Wi-Fi only. The Chitika study was based on hundreds of millions of web page views in the US and Canada from May 21st through May 28th.